Those working in marketing and advertising are most likely to let their personal and professional online lives overlap claims research into the blurring lines of personal and professional social media use. The study, by online reputation management company Igniyte, finds that a high percentage (41%) of marketing and advertising employees are happy to accept any work colleague as a friend on Facebook, arguably the most personal social media platform, compared to an all-sector average of 28%. Marketing and advertising employees are also the most likely to use personal social media accounts for work purposes; with almost one in three admitting they check out interviewers and interviewees on social media beforehand. Twice as many marketing and advertising employees check their social media profiles before applying for a job to ensure they’re portraying a professional image as the rest of UK employees. 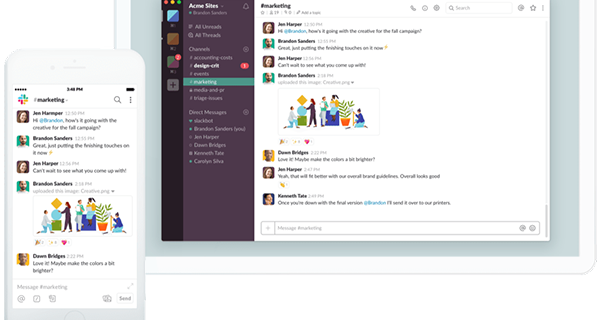 Demonstrating how open the industry is to overlapping personal and professional social media activity, the study found that one in 10 marketing and advertising employees use their work email addresses to log into one or more personal social media accounts, compared to just 3% of employees in other sectors. 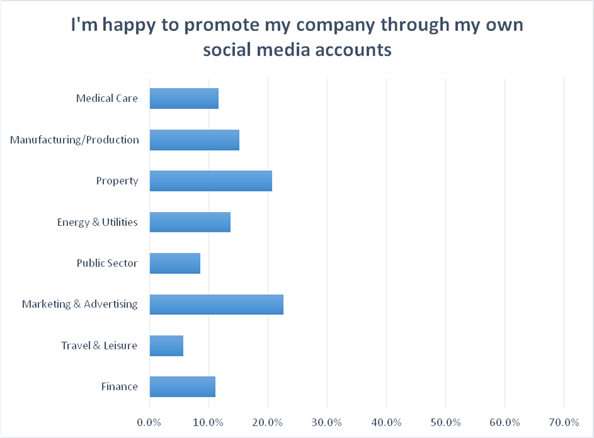 The good news for company owners is that this sector’s employees are the most willing to promote their business through their own personal social media accounts, compared with just 12% of other employees. Further good news for employers is that 58% of those working within the marketing and advertising industry say they read and follow their company’s social media guidelines. The other sectors surveyed were found to be much less inclined to mix their personal and professional social media lives, with 6% of those in the travel and leisure industry stating they are happy to promote their company socially. 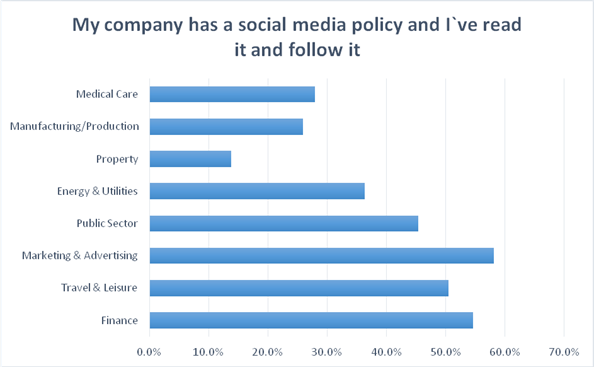 Almost a third of property employees say their company does not even have a social media policy, and 14% of those working with the energy and utilities sector say their companies do not have one, but they wish they did. With an increasing number of high-profiles cases in which an employee has posted something defamatory or ill-judged on social media, bringing their company into disrepute in the process, the necessity for some form of social media guidelines are vital. 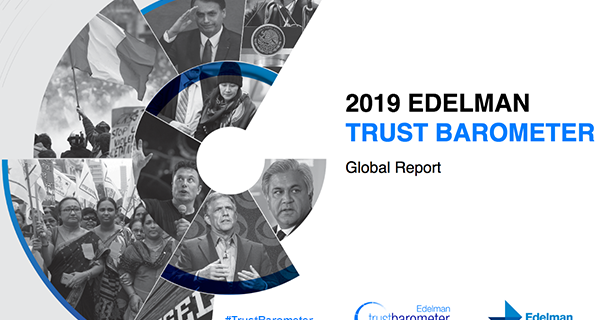 As the people tasked with responding to the press and managing crisis communications for clients, marketing and advertising employees understand the risks and benefits presented by the immediacy and virality of social media, explaining why they’re so willing to adhere to their own company’s guidelines. To that end, having a deeper understanding of how social media content can affect individual and company reputation, explains why these employees are so keen to check their own profiles before applying for a job. Also, over a quarter of marketing and advertising employees, before posting content on social media, consider how it could affect their own or someone else’s professional image. 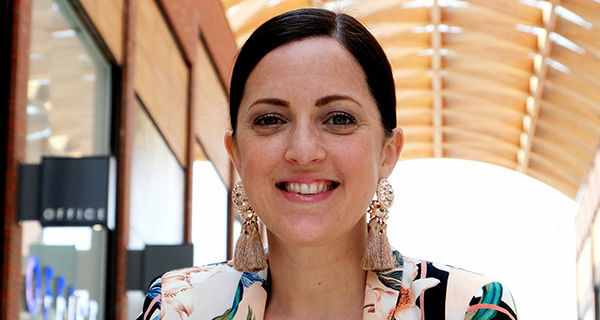 It would be wise for brands in other sectors – particularly travel/leisure and property – to begin with setting some social media guidelines in place for their employees to limit any damage to their reputation; and start to make some internal culture shifts to encourage their employees to be their biggest brand advocates. The survey was carried out on over 1,000 UK employees at the beginning of October 2015 via The Leadership Factor.